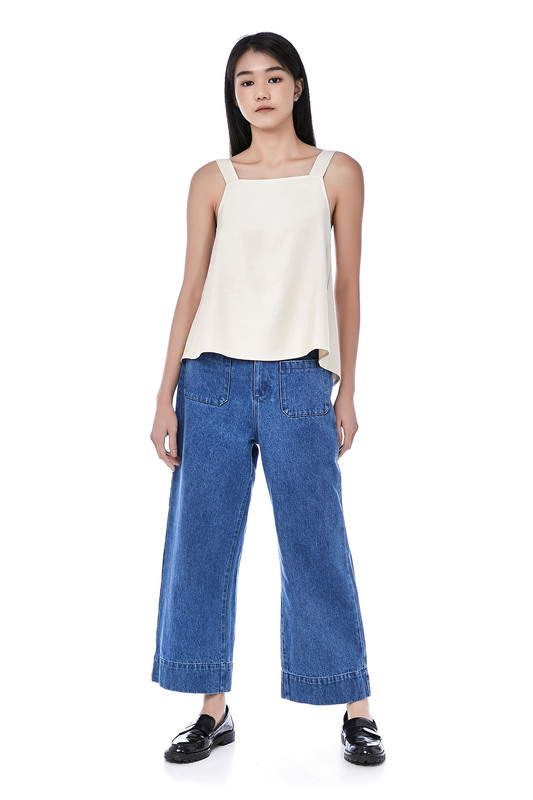 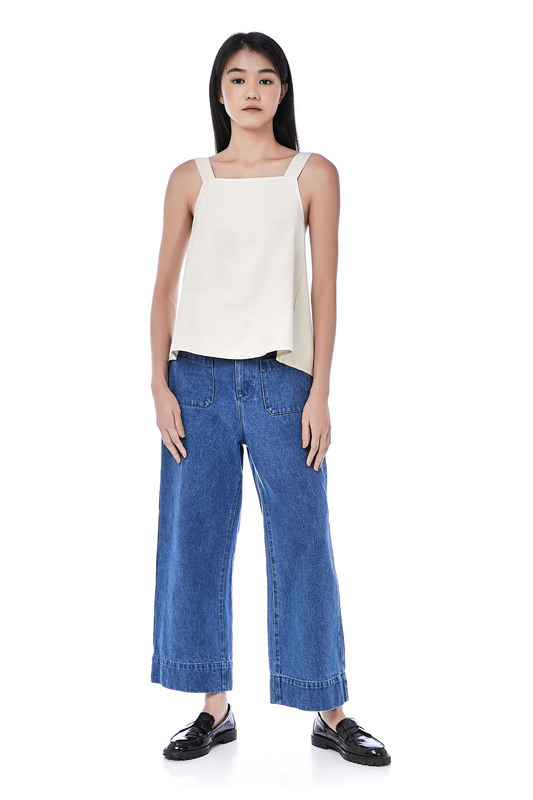 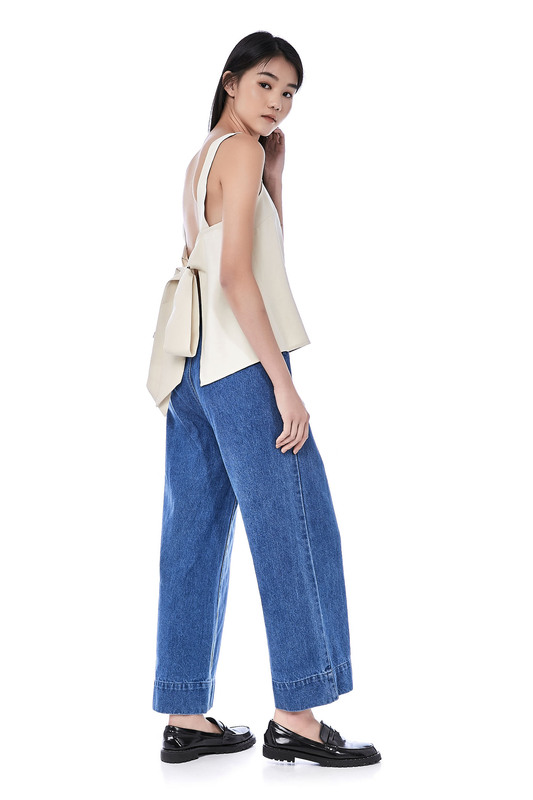 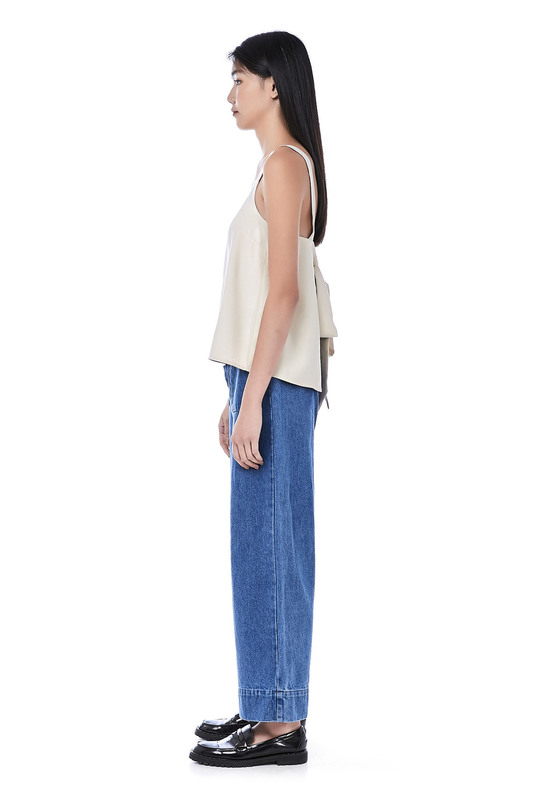 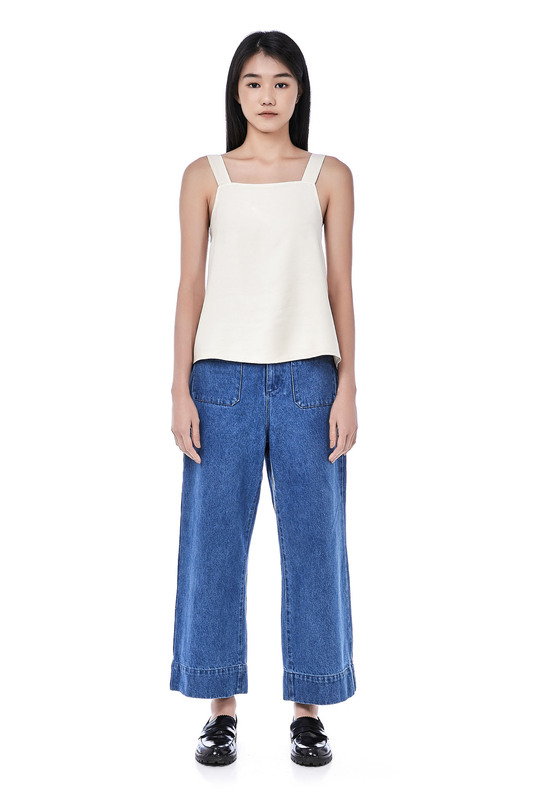 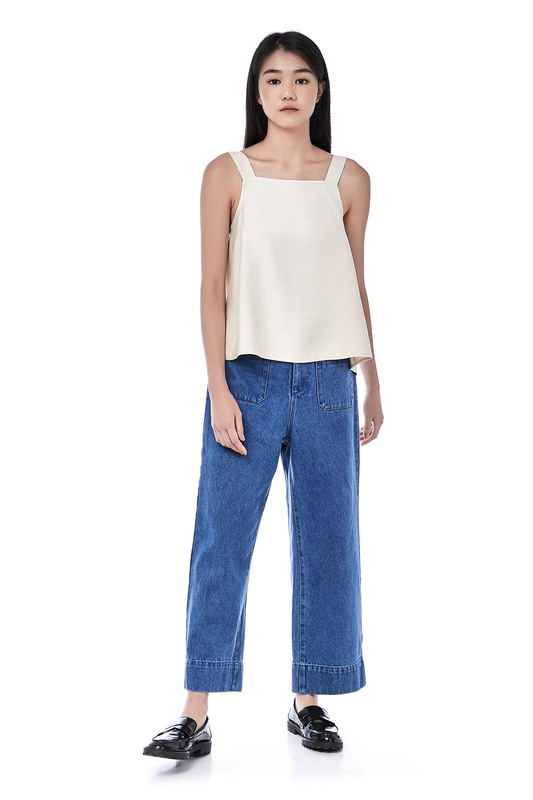 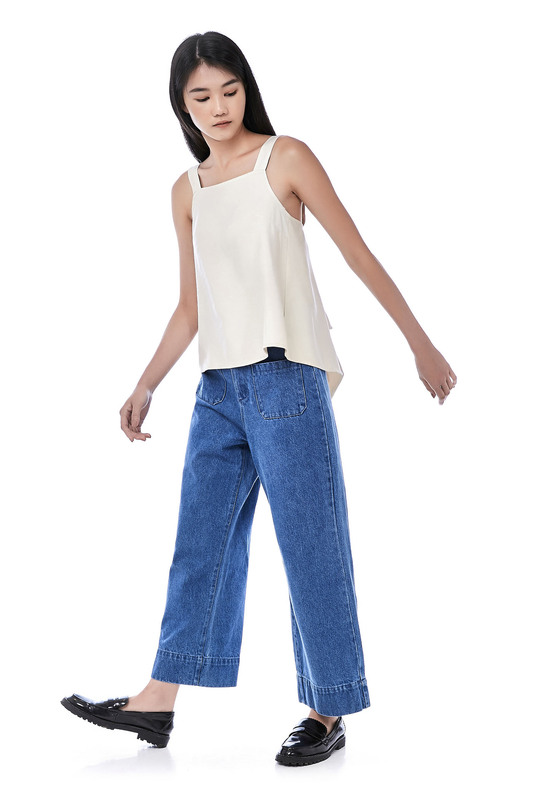 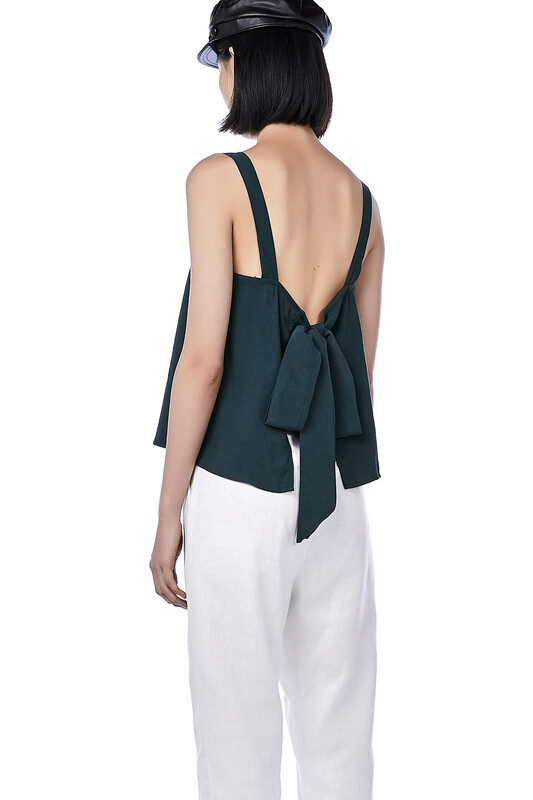 This sleeveless top is made from cotton. 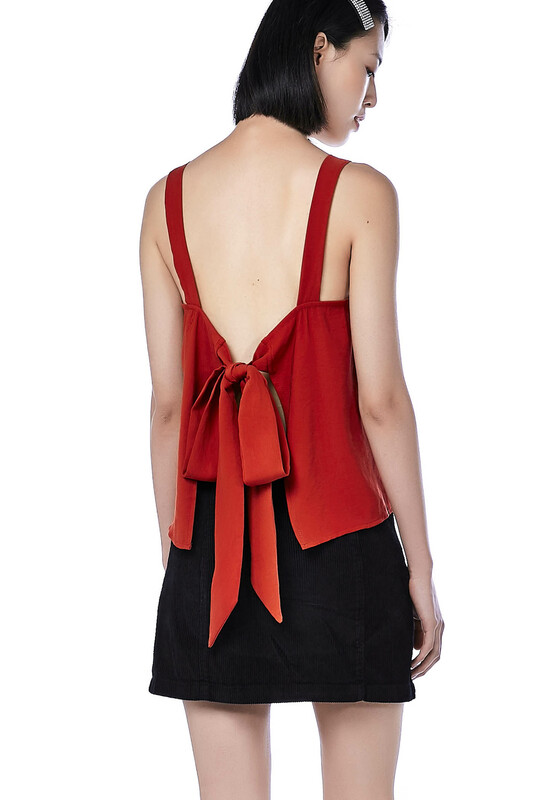 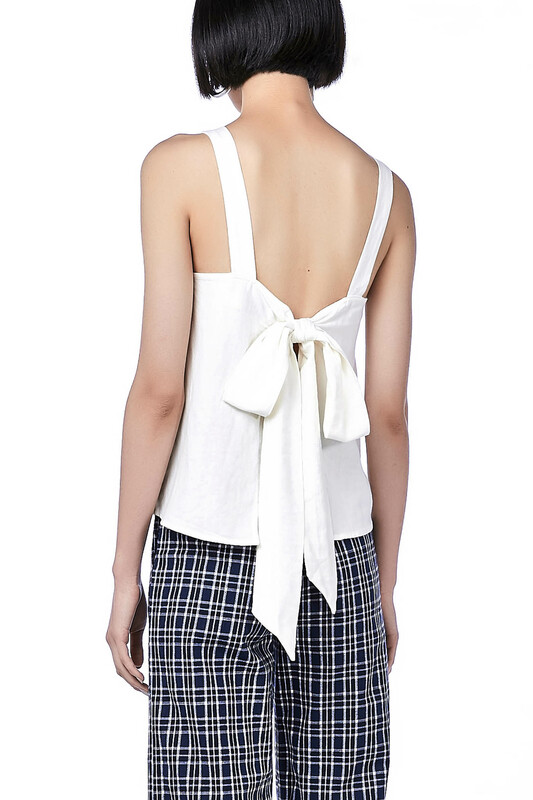 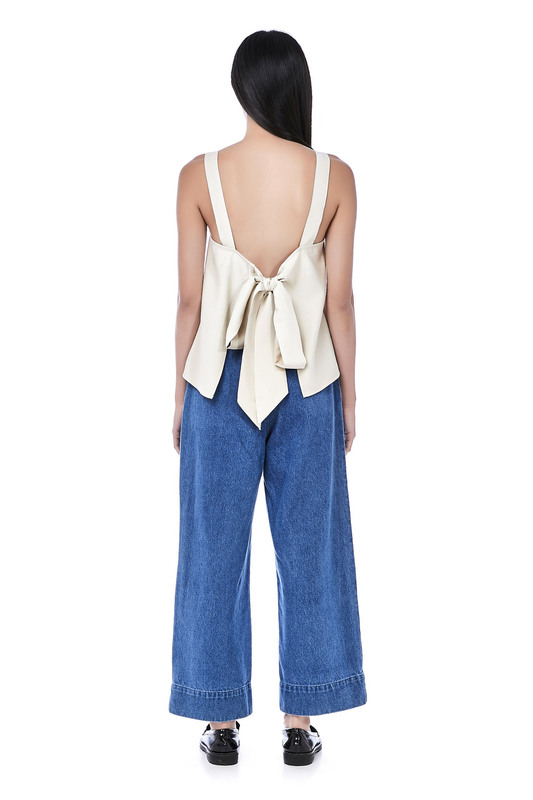 It has a square neckline and features thick shoulder straps with a strap tie on the back, made in a relaxed fit. 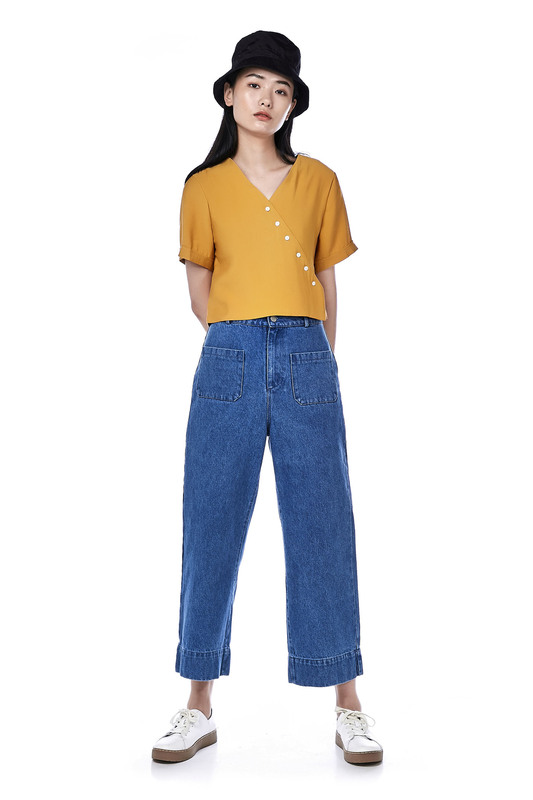 LENGTH 21" 21.5" 21.5" 22"